We offer a range of Pawleys Island accommodation with the focus on outstanding views and vistas. Ocean front, marsh, lakeside and fairway views are common. Most accommodation is in the form of suites, villas and condos so there is plenty of scope for a self-catering holiday. We have two featured resorts in the Pawleys Island area. 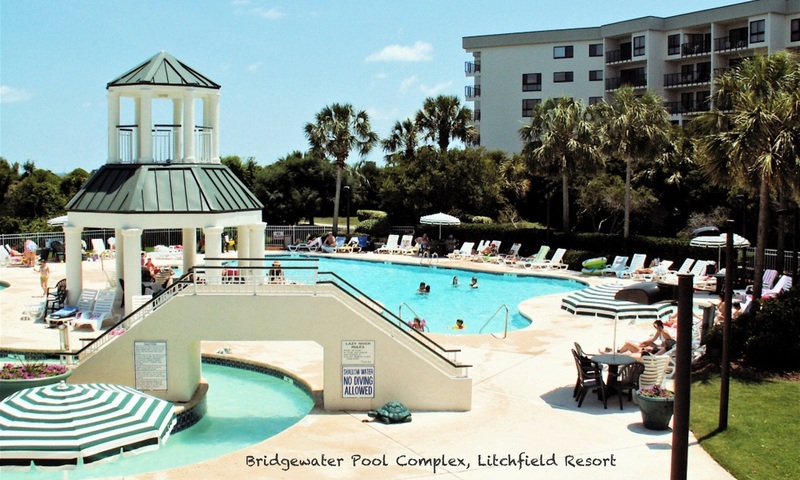 Litchfield Resort is a sprawling ocean front resort situated just 25 minutes south of Myrtle Beach airport. It is a large resort with a wide range of accommodation available. There are hotel suites, villas, condos and even luxury beach homes to choose from. Everything from 1 to 5 bedrooms in a range of spectacular locations. Around ten minutes drive further south is Pawleys Plantation. Pawleys Plantation is a self contained resort which features a range of villas and town home accommodation. Also, Pawleys Plantation boasts a national renowned golf school and an 18 hole Jack Nicklaus designed championship golf course. Each accommodation neighbourhood has it’s own outdoor pool. Pawleys Plantation lends itself to self-catering with it’s well equipped accommodation and quiet location. Breakfast, lunch and dinner are served in the main clubhouse. To complement our Pawleys Island resorts we also have the Inlet Sports Lodge, situated in Murrells Inlet, the Seafood Capital of South Carolina. The resort is just ten minutes north of Litchfield. Inlet Sports Lodge is a small boutique style hotel with spacious well appointed luxury studio accommodation with full kitchen facilities. For seafood lovers, Murrells Inlet really is the place to stay and at Inlet Sports Lodge you are within 1 mile of all the areas restaurants including the popular Marshwalk area. We could have included Inlet Sports Lodge into our Myrtle Beach accommodation page as it sits midway between the two areas. However, we feel that Inlet Sports Lodge and the Murrells Inlet area have more in common with Pawleys Island. Click on the individual resort links below to find out more.